We joined the Soldier Mountain Cat skiing guides while they were determining the viability of a trip. Opening a designated guiding area requires an immense amount work to make trips as safe as possible. 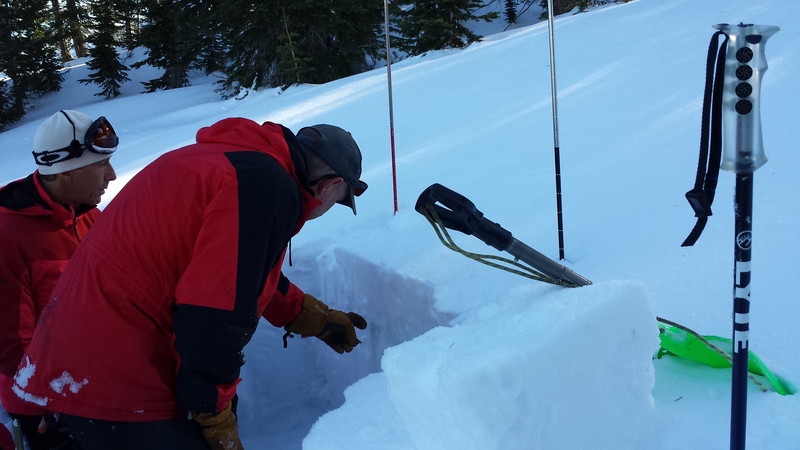 The Soldier Mountain guides had already spent several days trying to cover all of their terrain digging pits to find any potential problems and today they were looking to add a couple more data points to their collection. Unfortunately the new pits showed that the snow was just not quite ready for recreating. So trips would be delayed longer. However, the guides took the opportunity to learn/teach about the unstable conditions. They graciously shared some of their experiences with similar snow which made for great pit side discussions. Days like these have little skiing but are invaluable to recreating in avalanche terrain in the long term. We used the Lyte probe while were out so we could compare with the other observations the guides were gathering. One pit had a weak layer that produced an unstable result from an extended column test. The layer failed and propagated through the facets that were on top of a sun crust. The probe picked up this scenario. While the probe does not directly relate to stability it is good at picking out stratigraphy and faceted layers. Checkout the profile below from that pit. 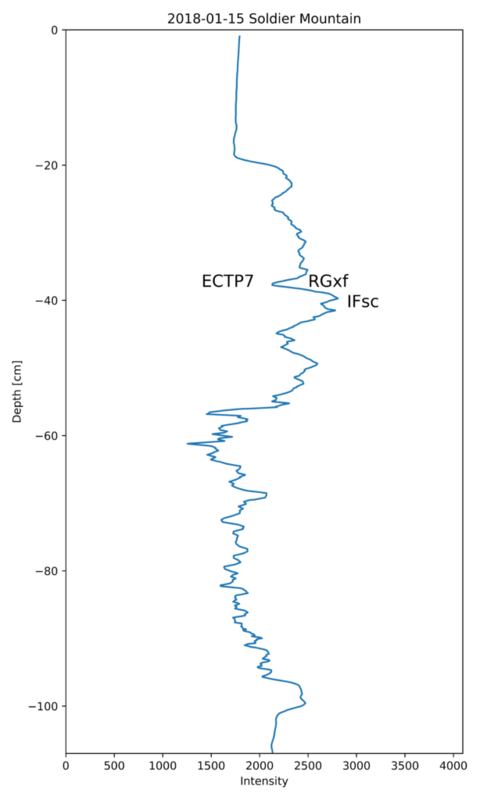 This is the first time we have measured such a reactive layer. The Lyte probe continues to measure faceted layers with great promise! A big thanks to Soldier Mountain for sharing their knowledge and allowing us to tag along!